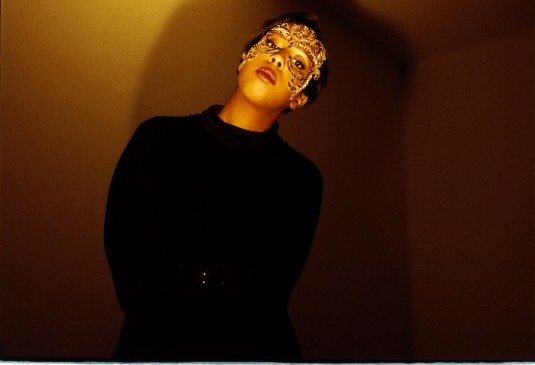 Cold Specks is Al Spx, a talented and fearless singer, musician, and songwriter who calls Montreal home. Originally from a Toronto suburb called Etobicoke, Spx has garnered international attention for her powerful voice, dark-hued lyrics, and post-punk aesthetic, which is all the more unique given the rather folk-oriented feel of her 2012 debut album, I Predict a Graceful Expulsion. In late August, Arts & Crafts and Mute co-released its follow-up, a decidedly more forceful and sinister record called Neuroplasticity. Beginning November 5 in Cambridge, Massachusetts, Cold Specks is on tour across the world for the foreseeable future but we connected for a candid conversation at the Halifax Pop Explosion last month. The discussion covered topics like living in Montreal and visiting Halifax, Loel Campbell and Tim D’Eon of WIntersleep, living in England, the concept of neuroplasticity and how it might apply to Cold Specks, getting bored, trying to perform songs from I Predict a Graceful Expulsion, destruction of melody and subtle aggression, London and Glastonbury, hills and pagans, corporate witchtowns, no socks, sonic goblin, wearing capes and goth people, the trumpet of Ambrose Akinmusire and the voice of Swans’ Michael Gira, growing up in Etobicoke with her Somali parents, Rob and Doug and the Ford family, not quite apolitical, Al’s oud-playing, soul-singing dad ‘Dr. Love,’ the late, popular Somali singer Saado Ali Warsame, Swans, Bill Callahan, the Strokes, Tom Waits, and Nick Cave, the Strokes on Letterman and emerging after 9/11, the Backstreet Boys have come up on two straight episodes now, having a persona, creative pursuits, loving True Detective, Vince Vaughn, Colin Farrell, and Rachel McAdams, Band of Brothers, shooting a cannon at The Nutcracker, meeting Joni Mitchell who is awesome, the art of the interview, yelling at a Q guest host and other bad journalists, why I talk to people, being and not being a diva, touring a lot behind a record that came out kind of quietly, the Hotel2Tango and Howard Bilerman, why Montreal is good, not wanting to interact with anybody, the song “Absisto,” a nervous breakdown, and then the exit plan. Diamond Rings DJs Stay Out of the Mall XII – Friday almost sold out! 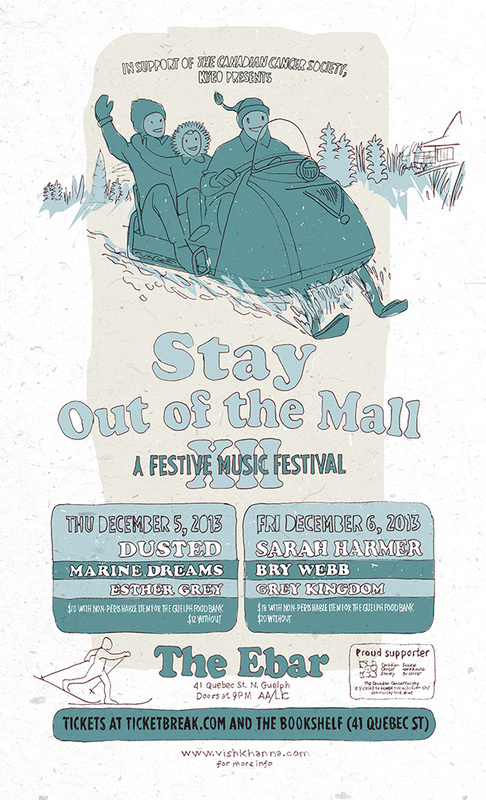 The twelfth annual Stay Out of the Mall festival takes place on Thursday Dec. 5 and Friday Dec. 6, 2013 at the Ebar (41 Quebec St.) in Guelph, ON and another special guest has just been added to the bill. On Friday night, internationally renowned recording artist Diamond Rings (a.k.a. 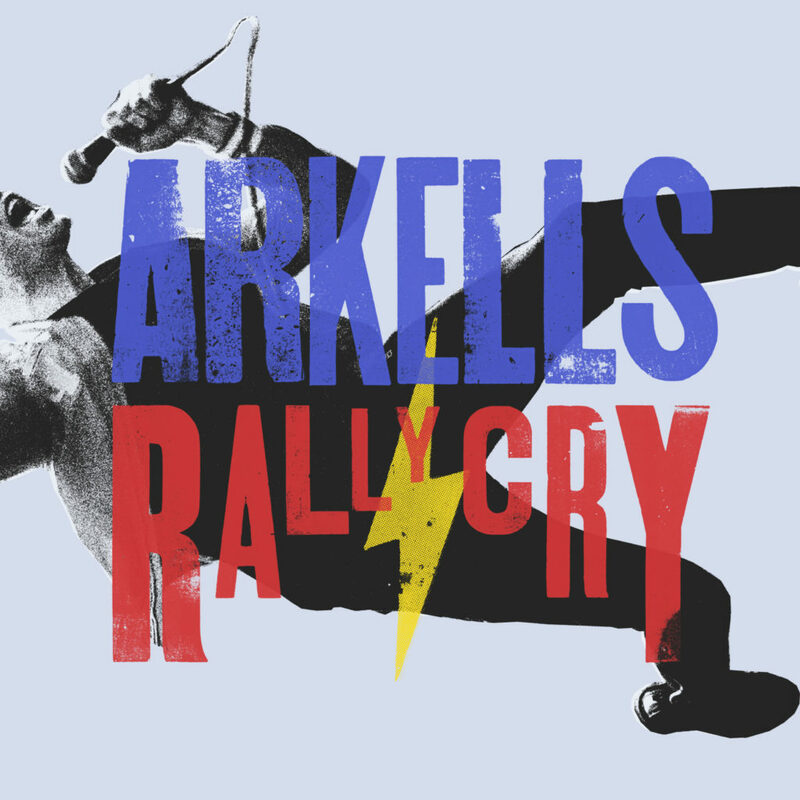 University of Guelph grad, John O’Regan) will DJ between bands and after the concert is over. O’Regan has played Stay Out of the Mall previously in the band Habitat and also as Diamond Rings. Friday night’s show featuring Sarah Harmer, Bry Webb, and Grey Kingdom is currently 40 tickets shy of selling out. There are still a number of advance tickets left for Thursday’s event featuring Dusted (Brian Borcherdt of Holy F—k and Loel Campbell of Wintersleep), Marine Dreams, and Esther Grey but this evening is sure to be packed as well. Patrons are reminded that they can purchase tickets online at ticketbreak.com but they can save $2 on admission at the Bookshelf (41 Quebec St.) or at the door by donating a non-perishable good to the Guelph Food Bank. Simply present your good to staff at the Bookshelf or the Ebar when you purchase your ticket in person and you save $2. There is a Facebook event page for Thursday and also one for Friday. Updates and info will be posted there and also here. Some of this info is available below.